Good Monday Morning! Wishing you a week full of many sweet moments! There are so many wonderful recipes and ideas on the internet! You can spend time on Pinterest or just searching different recipe or decorating ideas and usually these ideas will spark other ideas! I recently made one of these simple ideas and oh my what a wonderful thing! It is so simple but so elegant and very tasty! I have made these twice and plan on making them for 2 more things I have coming up soon! I even had some male family members who are not fruit eaters try them and like them! They make a very sweet gift as well! ENJOY! 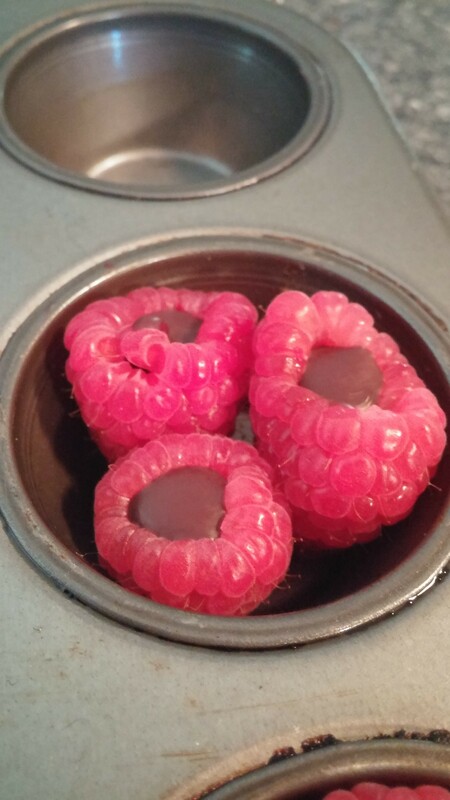 Place 3 raspberries in a mini muffin tin. Melt the chocolate in the microwave for 30 seconds, stir well. If need more time, microwave in 10 second intervals making sure to stir each time. The chocolate may not look melted but once you stir it will melt down. I only put mine in twice and just kept stirring, you don’t want to burn the chocolate! Place the melted chocolate in a sandwich bag, cut the corner tip off, slightly. 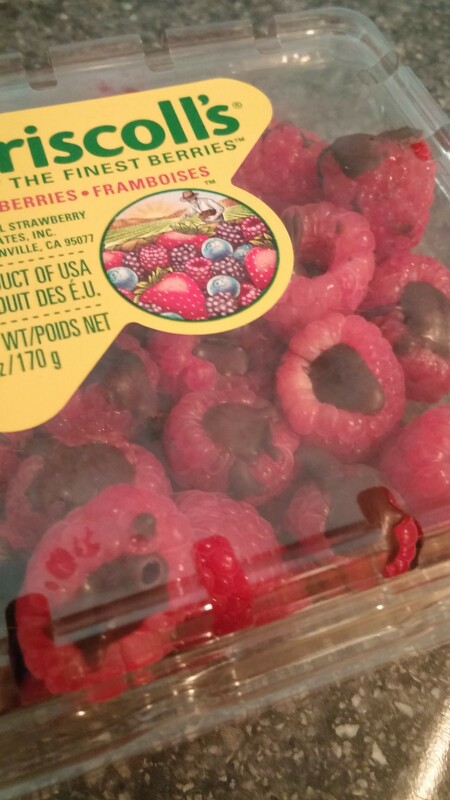 Pipe the chocolate in each raspberry! Super easy, super quick! 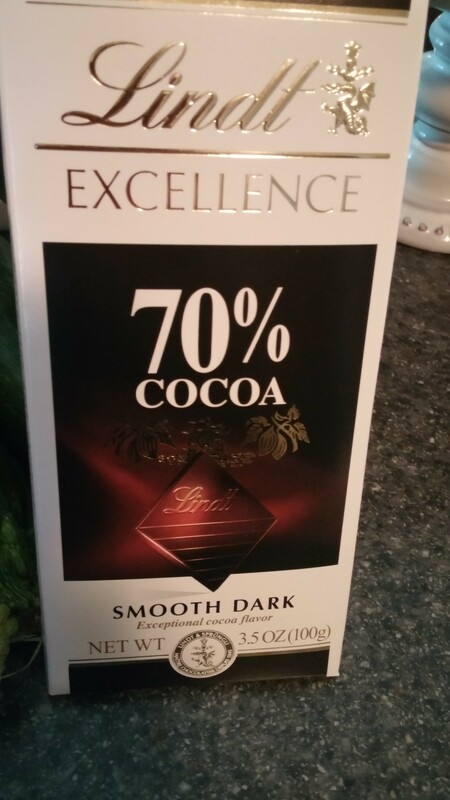 Allow the chocolate to harden. Once harden, place back in the container and in the refrigerator. Looks very cute to serve from the container or give that way as a gift! ENJOY!